Israeli Naval Forces took over the women’s boat to Gaza while on its way to break the siege on the Gaza Strip on Wednesday. Among the boat's 13 passengers are several parliamentarians, an Olympic athlete, a retired U.S. army colonel and a Nobel Peace Prize laureate. According to tweets from the Women’s Boat to Gaza, the boat was surrounded by the Israeli Navy and the Captain, US Army Colonel Ann Wright, was forced to turn the Zaytouna around before entering Gaza’s Israeli-occupied territorial water. Israeli authorities refused to comment on the incident or to reveal the whereabouts of the ship and its passengers. Head of the European campaign to lift the siege on the Gaza Strip, Mazen Kahil called on the European governments to immediately intervene and to stop the “Israeli piracy” off Gaza shores. The Palestinian MP Jamal al-Khudari, for his part, condemned the Israeli attack on Zaytouna solidarity ship. The flotilla is the fourth of its kind since 2010, when the first Freedom Flotilla was brutally attacked by Israeli naval forces, who killed ten Turkish activists aboard the Mavi Marmara ship. The Gaza Strip has been suffering under an Israeli military blockade since 2007, after Hamas Movement democratically won the 2006 Parliamentary election. Residents of Gaza suffer from high unemployment and poverty rates, as well as the consequences of three devastating Israeli wars since 2008, most recently in the summer of 2014. A few hours before the Zaytouna boat reaches Gaza shores, a cry for help has been launched by onboard activists to guarantee their safe arrival to the coastal territory. With Israeli threats materializing on the ground, the International Committee to Break the Siege on Gaza appealed for guaranteeing women onboard al-Zaytouna a safe arrival to Gaza shores without being hijacked by Israel. A fleet of Israeli gunboats has, meanwhile, set sail from the Ashdod Harbor in an attempt to intercept the Zaytouna solidarity boat. The American activists onboard the ship appealed to the U.S. embassy in Tel Aviv to deter Israel from attacking the boat. However, they were told by the embassy that the occupation navy has received instructions to commandeer the boat right as it approaches Gaza shores and to tow it to the Ashdod Seaport. In case of any defiance, activists will be arrested. Israeli gunboats docked in Ashdod navigated to international waters so as to force Zaytouna to backtrack. The international anti-siege committee dubbed Israel’s projected takeover of the boat an infringement of international laws and parliamentary immunity and also a crime against peaceful activists that do not pose any threat to Israel. The committee’s chairman Zaher Birawi called on activists around the world to launch a solidarity campaign via social media in the event of an Israeli assault. A similar Gaza-bound aid flotilla ended in tragedy in 2010 when the Turkish "Mavi Marmara" aid ship was raided by Israeli commandos, who killed 10 Turkish activists. Since 2007, the Gaza Strip has groaned under a crippling Israeli/Egyptian blockade that has deprived its almost two million inhabitants of most basic commodities, including food, fuel, medicine and desperately-needed building materials. The International Committee for Breaking the Siege on Gaza called for an international intervention to guarantee a safe arrival of the Zaytouna boat to Gaza shores. The committee expressed fears of a projected Israeli attack on the boat, as was the case with the Mavi Marmara Flotilla some ten years ago. The committee called upon international activists to conduct media, political, and popular campaigns to exert pressure on Israel in order to guarantee a safe arrival for the Zaytouna solidarity ship and the women aboard. The calls were launched after reports were released by Israeli news sites on the ship’s proximity to the Palestinian territorial waters. 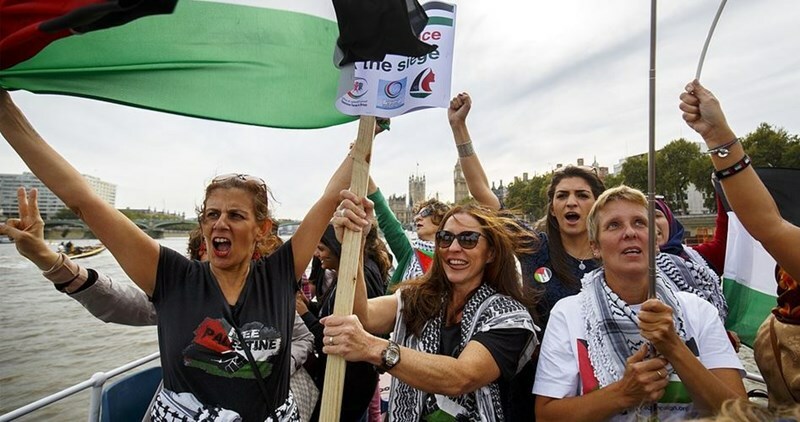 The committee said that the 13 women activists on board are set to arrive in the besieged coastal enclave on Wednesday evening or Thursday morning after traveling for nearly 2,000 miles, if the ship is not intercepted by Israeli naval forces en route to the shores of Gaza. A so-called “Protect Women’s Boat to Gaza” hashtag was launched by activists on social media networks to call for protecting Zaytouna. Joining the hashtag, Palestinian MP Jamal al-Khudari wrote in a tweet: “Oh the world’s free people! We’re running out of time! The campaign called on the world’s activists, diplomats, and journalists to mobilize mass participation in the anti-siege campaigns and activate calls for breaking the siege on Gaza, opening the border-crossings, and establishing a seaport. “The real terrorism is the one perpetrated by the Israeli occupation through the misappropriation of Palestinian lands, illegal settlement expansion, the construction of apartheid walls, Judaization of Occupied Jerusalem, aggressions on Gaza, and the blockade,” the committee further stated. The Women’s Boat to Gaza—Zaytouna—is expected to reach Gaza shores in two days, in a symbolic move to break the Israeli siege on the enclave. According to the International Committee to Break the Siege on Gaza, al-Zaytouna ship, carrying 13 activists onboard, is expected to reach Gaza shores on Wednesday evening or Thursday morning in case the Israeli occupation navy does not intercept the boat in international waters. The committee called on the world’s pro-Palestine activists to embark on media and popular campaigns so as to defend the anti-siege ship against projected Israeli assaults. A few days earlier, Israeli daily Maariv said the Israeli occupation navy has received instructions to intercept women’s boat to Gaza and arrest onboard activists. The boat is reportedly to be towed to the Ashdod Harbor while female activists will be deported to their mother countries after they sign pledges to never return. Amal II boat will not join the flotilla due to a sudden breakdown. 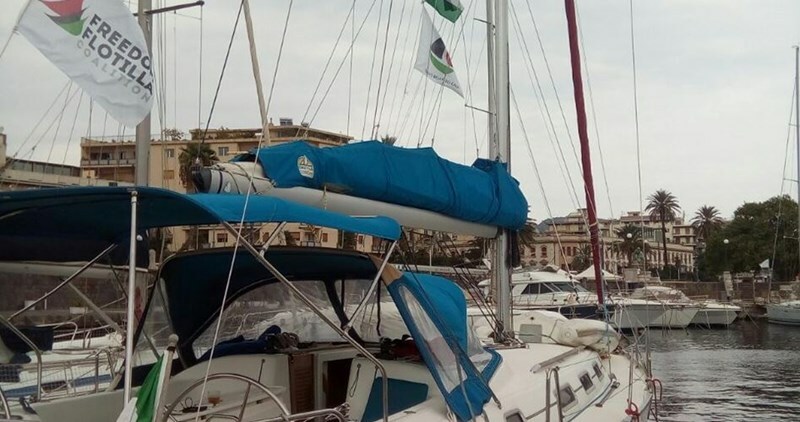 Zaytouna, a boat with all-women crews and passengers, set sail from Barcelona en route to besieged Gaza in another maritime attempt to break Israel’s illegitimate blockade on the Palestinian coastal enclave. The Israeli occupation navy has received instructions to intercept women’s boat to Gaza and arrest onboard activists, Israeli daily Maariv reported Sunday. The Israeli naval forces have received orders to intercept al-Zaytouna ship and arrest activists as soon as they reach Gaza shores. The boat is reportedly to be towed to the Ashdod Harbor wile female activists will be deported to their mother countries after they sign pledges to never return. Zaytouna ship is expected to reach Gaza shores in the next three days following a stopover in the Greek Island of Crete to fix a sudden breakdown. 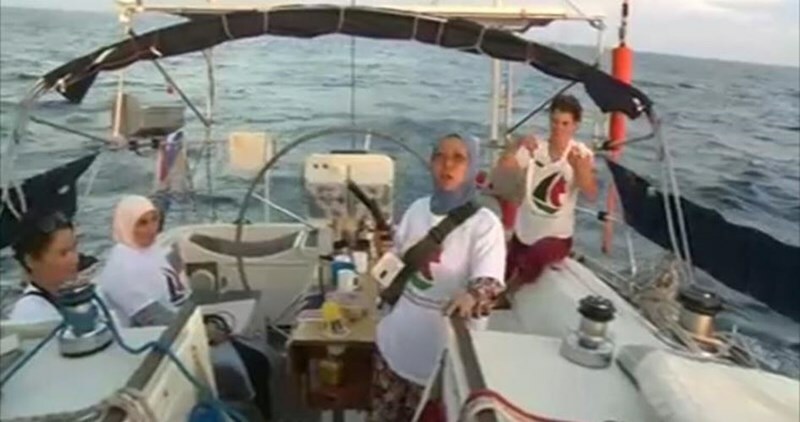 Amal and Zaytouna, a flotilla of two boats with all-women crews and passengers, set sail from Barcelona en route to besieged Gaza in another maritime attempt to break Israel’s illegitimate blockade on the Palestinian coastal enclave. There are 11 women in each boat, including Malin Bjork, the European Parliament member, Mairead Maguire, the Nobel peace laureate from Northern Ireland, Fouzia Hassan, a doctor from Malaysia, and retired US army colonel Ann Wright. 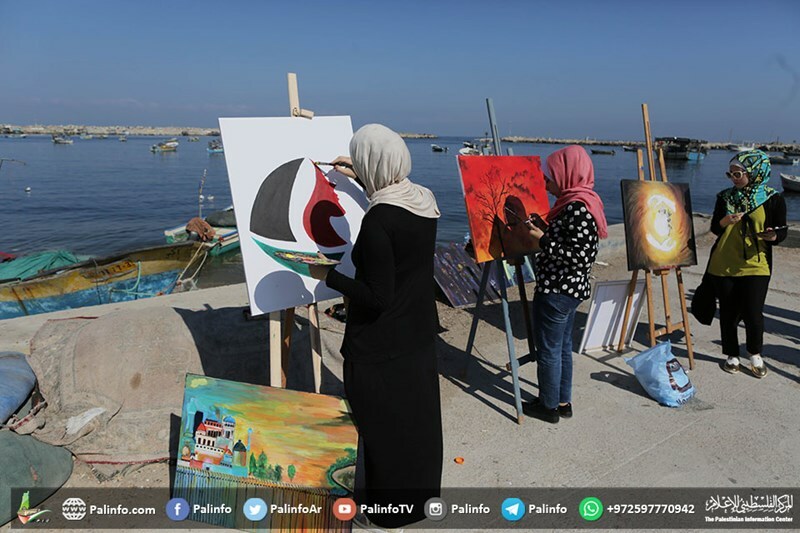 An open-air painting event was organized Thursday for female artists on the beach of Gaza port in solidarity with the women aboard the Gaza-bound boats, Zaytouna-Oliva and Amal-Hope. The event was staged by the Global Campaign to Champion the Women's Boats to Gaza and al-Marsam Center for Fine Arts. The beach art exhibition contained more than 10 meaningful paintings sending messages of solidarity and love for the female activists aboard the boats as well as messages of freedom and peace to the world. Spokeswoman for Miles of Smiles in Gaza Sundos Farwana told the Palestinian Information Center (PIC) that this event was part of several welcoming activities to be organized for the Women's Boat to Gaza campaign in the coming days. Farwana expressed her thanks to the female activists on the boats, describing them as "the world's free women." The Amal-Hope II entered Messina port to join her sister Zaytouna-Oliva in women’s anti-siege journey to Gaza. 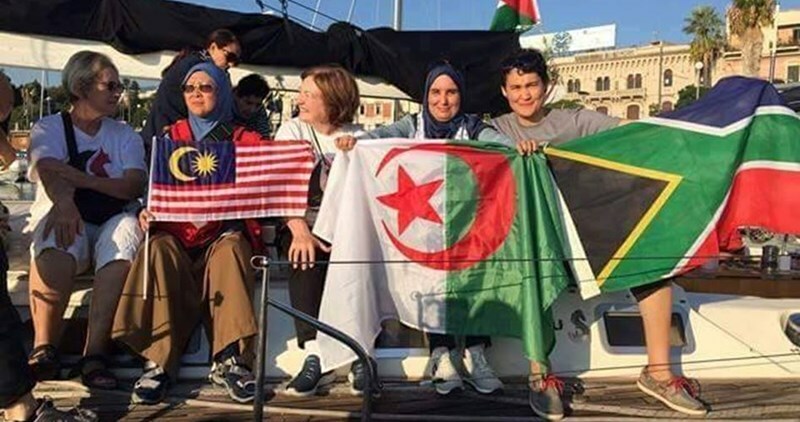 According to the head of the International Commission to Break the Siege on Gaza, Zaher al-Biraoui, while Amal-Hope II showed up late, she is fully ready to join the Women’s Boat to Gaza on its next leg of the journey. The two sister boats will depart on Wednesday for their final destination, the shores of Gaza. The original Amal-Hope remained in Barcelona due to mechanical difficulties. Due to the smaller size of Amal II, a number of female activists will not be able to sail to Gaza. Al-Biraoui said the number of participants onboard the flotilla will be reduced based on a very precise mechanism that grants participation to representatives of different nationalities, media organizations, and medical staff. Among those who will not be onboard, are the prominent Tunisian MP Latifa Habashi and Al-Jazeera news correspondent Khadija Benguenna. Al-Biraoui apologized to the eliminated activists and thanked them for their understanding and cooperation despite the deep sadness inflicted by the decision. “The fact that I will no longer enjoy the privilege of sailing to Gaza shores just makes me feel so sad deep inside,” said Khadeeja Benguenna on Facebook.